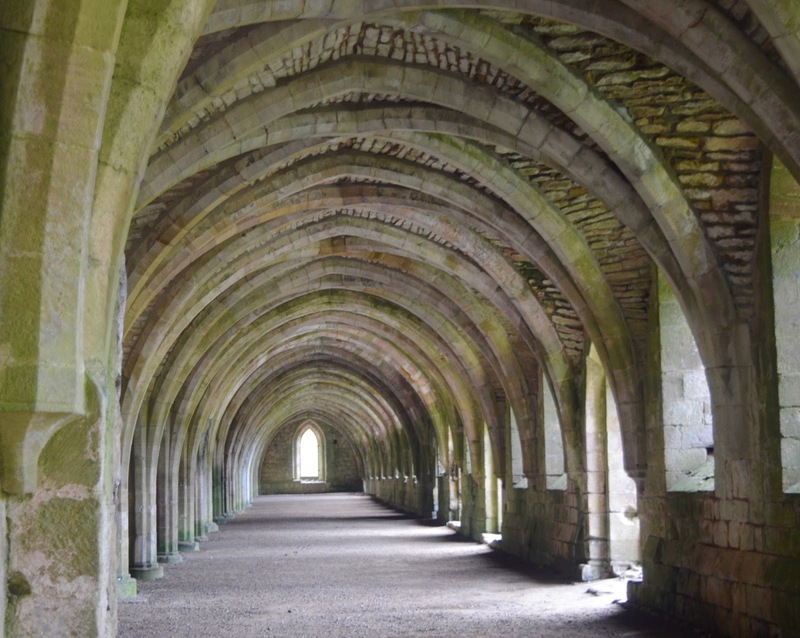 Fountains Abbey is somewhere I have wanted to visit in forever. 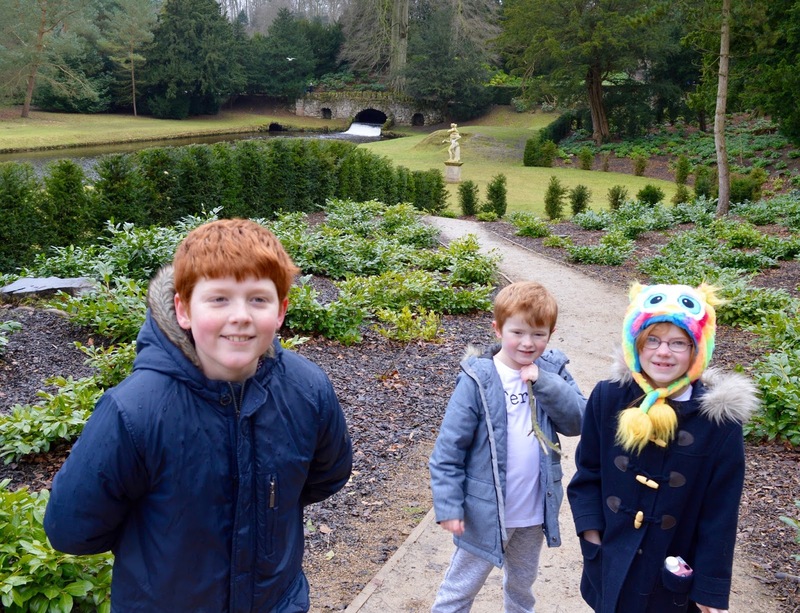 It's conveniently located not far from the A1 near Lightwater Valley and Ripon and is only about a 1 hour 20-minute drive from home for us but despite many plans for us to visit, we just never got around to it or something would come up! 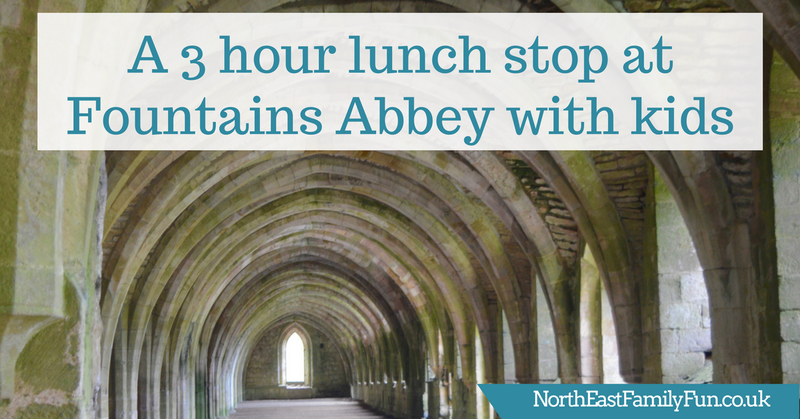 Fountains Abbey is halfway between our home and Darwin Forest in Derbyshire so during our recent trip there, it felt like the perfect stop-off for lunch on the way home. 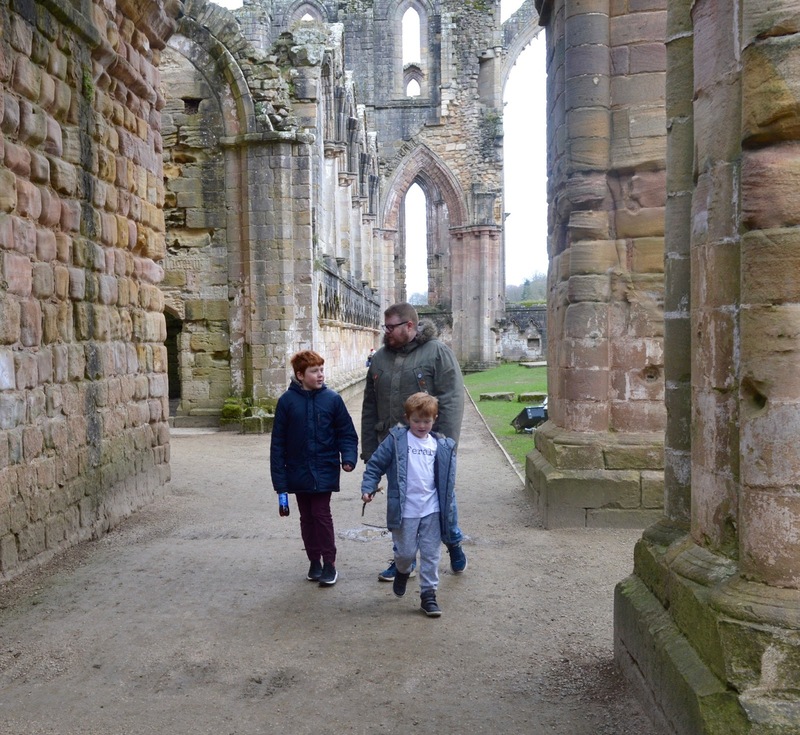 Fountains Abbey is free to visit if you're a National Trust member as we are and there is plentiful free parking on site. With three starving kids, we headed straight to the on-site restaurant for lunch. I think Steve is the only person over the age of 30 who does not appreciate a National Trust Tearoom. He honestly hates them! He doesn't moan about much but if I mention lunch and National Trust in the same breath he will normally twist his face. Apparently, a lot of their food is 'samey', pre-made and overpriced. I guess he kind of has a point but I think the delicious homemade cakes more than make up for it. 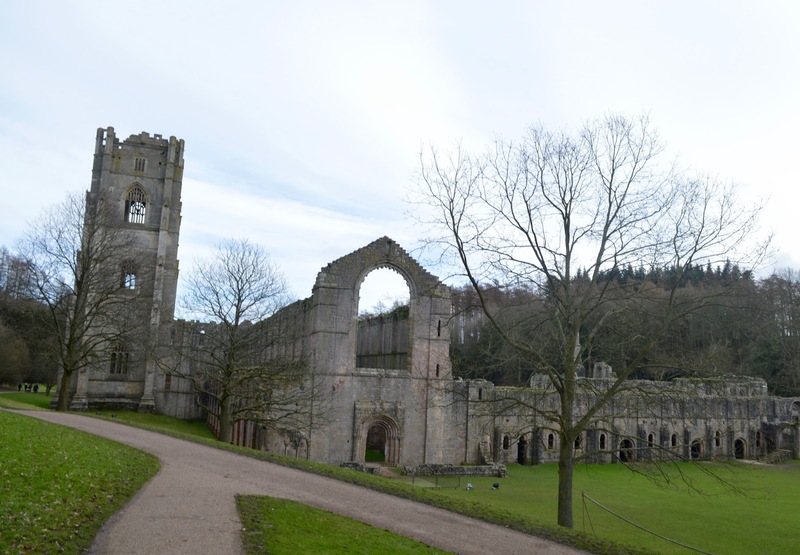 The restaurant at Fountains Abbey actually received Steve's seal of approval as he tucked into a proper Yorkshire Pork Pie. 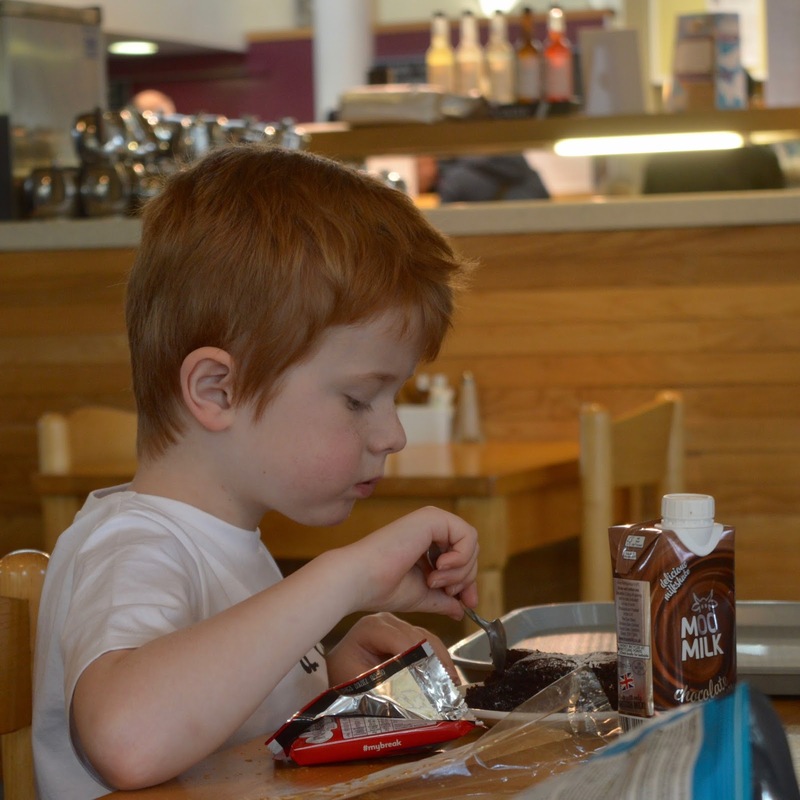 Jack and I enjoyed the homemade sausage rolls too and everyone else devoured a couple of sandwiches, homemade chocolate brownies and crisps. At £29 for the 5 of us, I didn't think it was too bad at all. 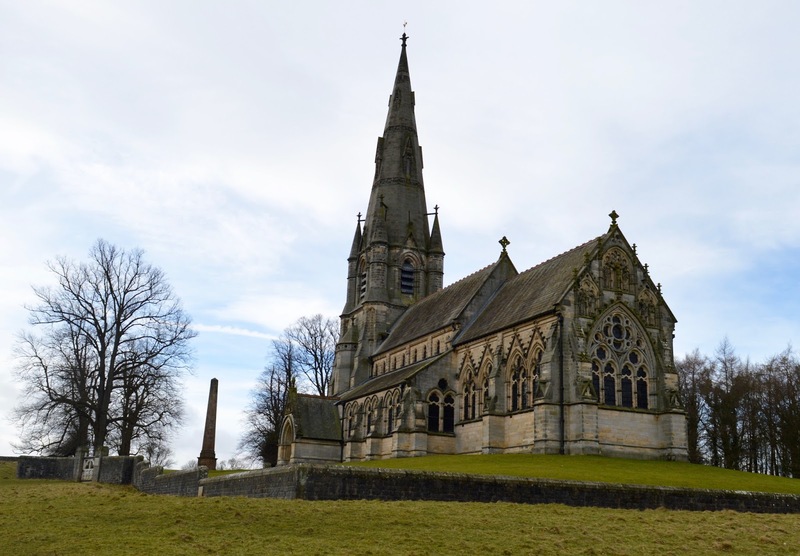 If I was visiting in the summer though I'd definitely pack a picnic as there are so many picnic spots in the grounds. After lunch we walked past a play park but decided to give this a miss today as it was just supposed to be a flying visit. We'll definitely pop in next time. 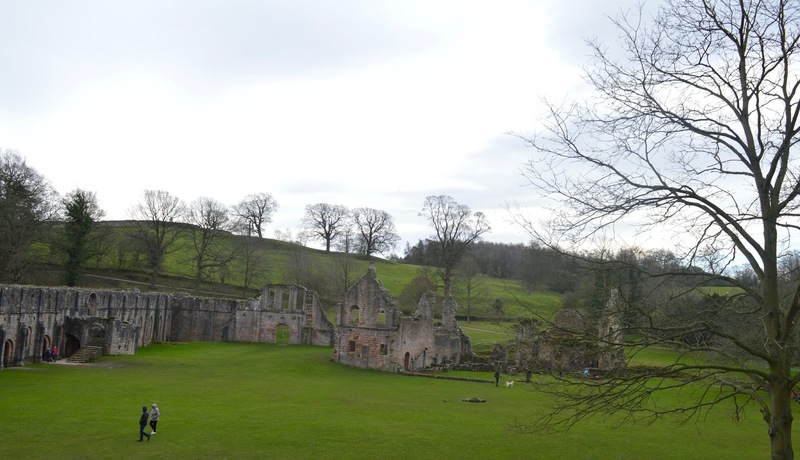 Before long, the Abbey was in sight and it really took my breath away. It is HUGE and in really good condition considering it was built in the 12th century. My pictures just don't do the abbey justice. We ventured inside and there are so many rooms and ruins to explore, we barely touched the surface. There's a beautiful riverside walk from the abbey too and the banks were lined with snowdrops. 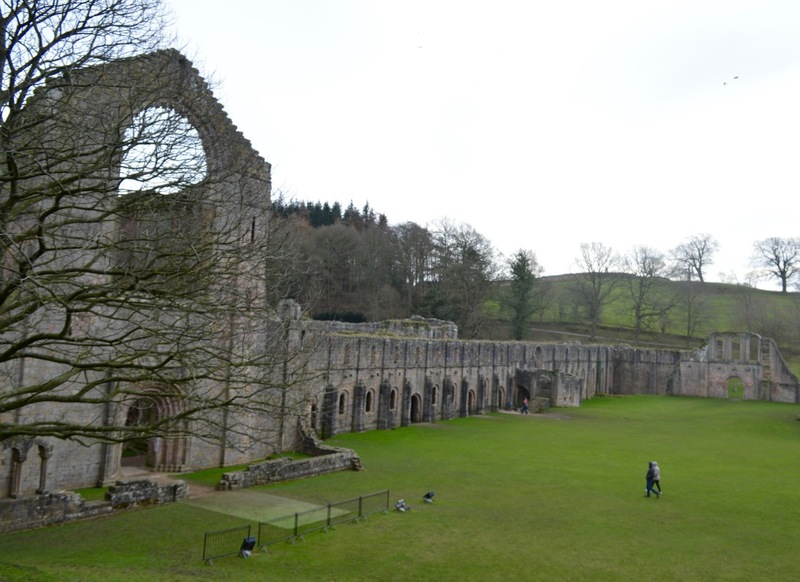 We left the Abbey behind in search of the Water Gardens and by this point it had decided to rain. Booo! 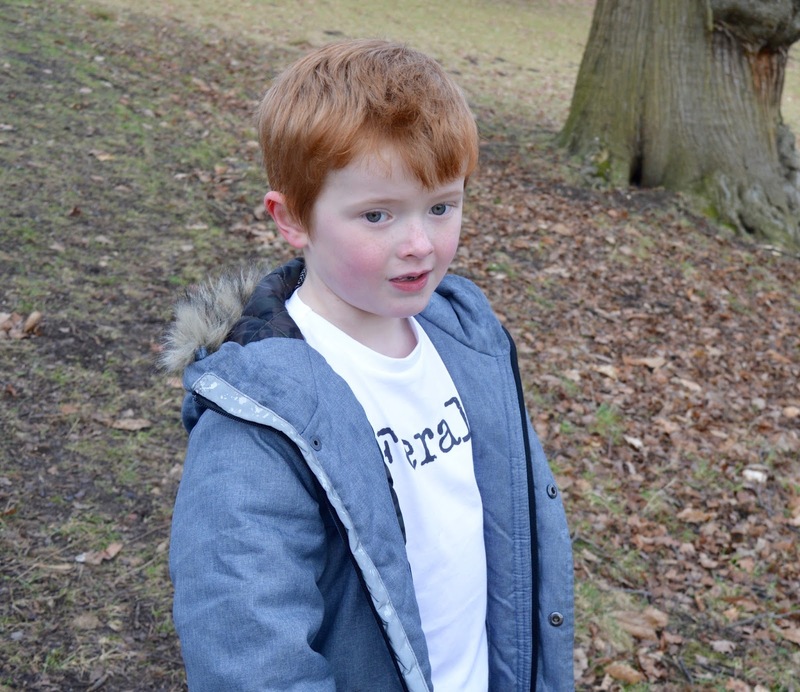 Jack pointed out lots of different types of trees and there's lots of wonderful nature to admire as you walk. 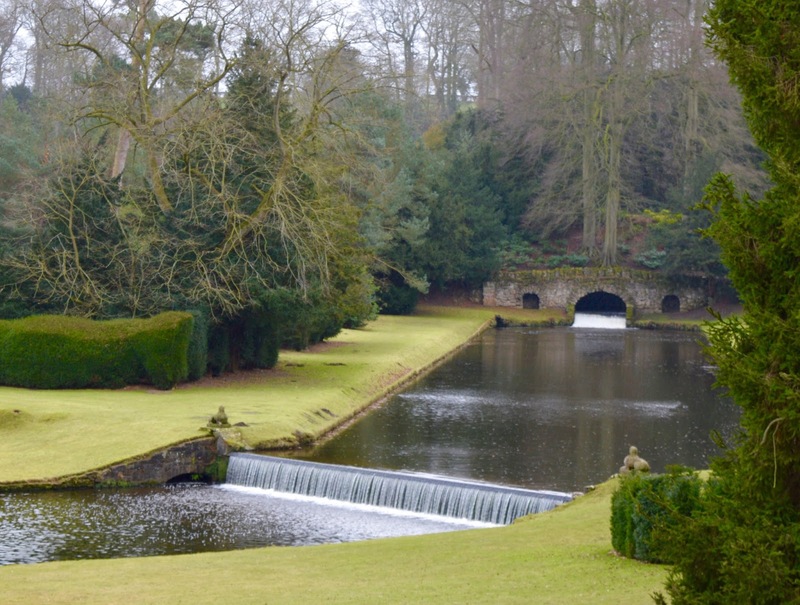 The water gardens are so peaceful and lovely to walk around. I can't wait to revisit when the sky is blue and the flowers are in bloom. 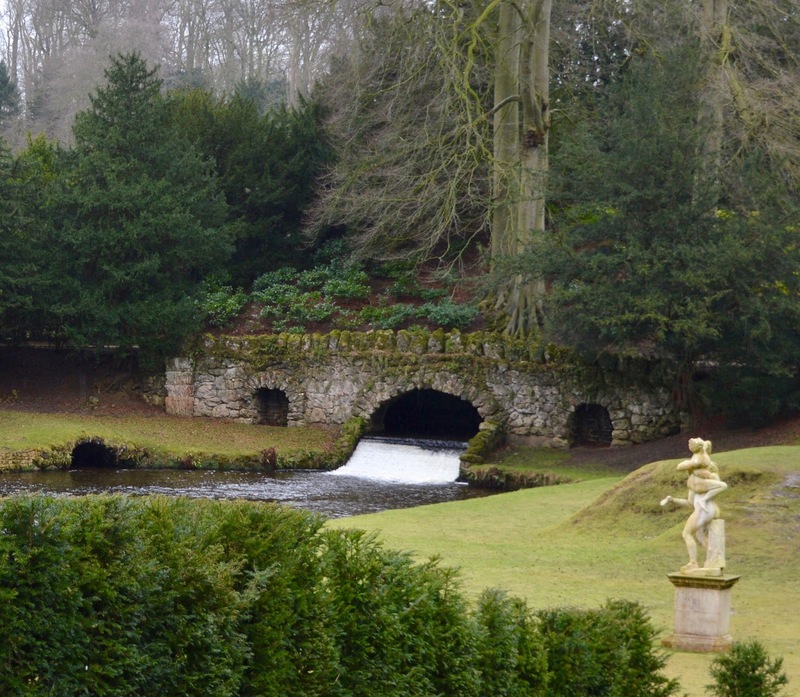 From the water gardens, we continued up to the deer park. I had no idea there was a deer park here! 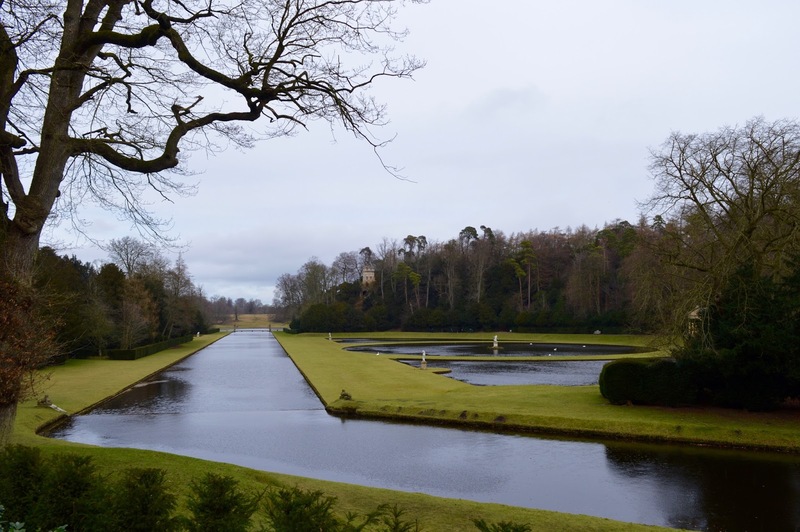 I think Studley Gardens (& deer park) and Fountains Abbey are actually two different National Trust properties next to each other. The kids were getting pretty tired by this point but I was determined to continue on so we hiked up a hill and then walked around the deer park trying our very best to spot some deer. We weren't in luck today but maybe next time. The views of the country park were beautiful. 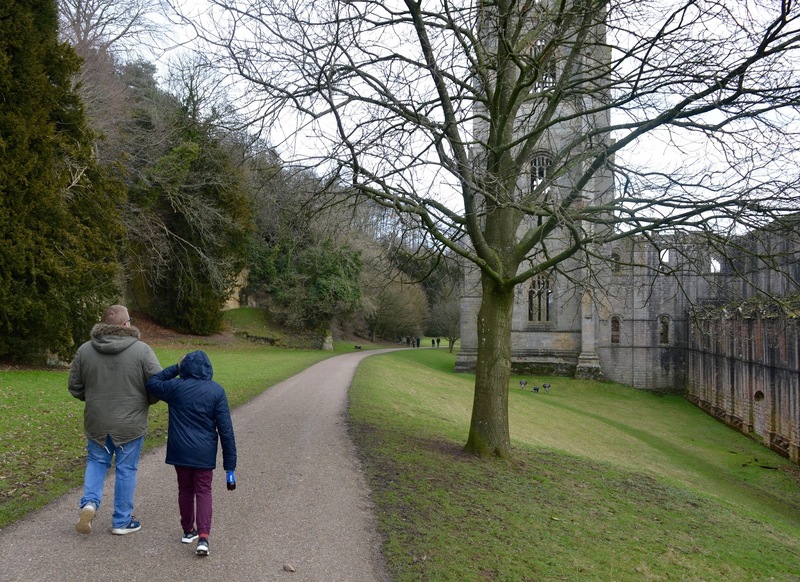 The walk got a little weird here as we had to exit the deer park via a gate and then walk along a path outside of the grounds and next to a main road to bring us back to Fountains Abbey car park. 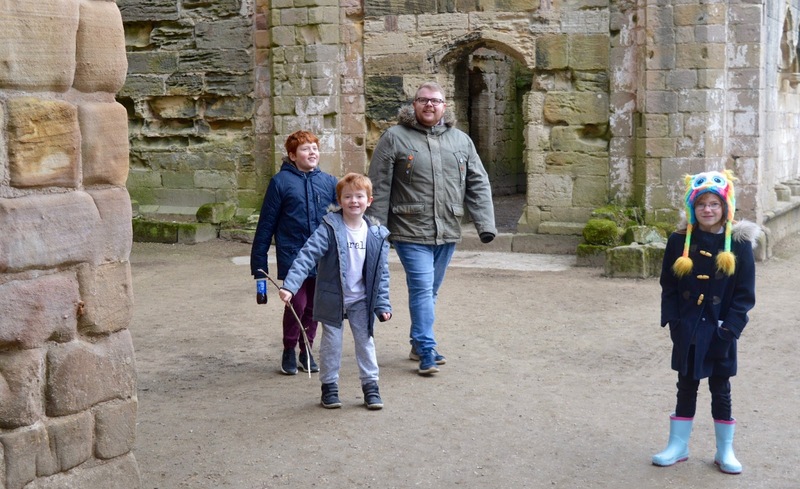 By this point the kids were wrecked but I was still feeling raring to go and loved all of the country air we'd enjoyed. 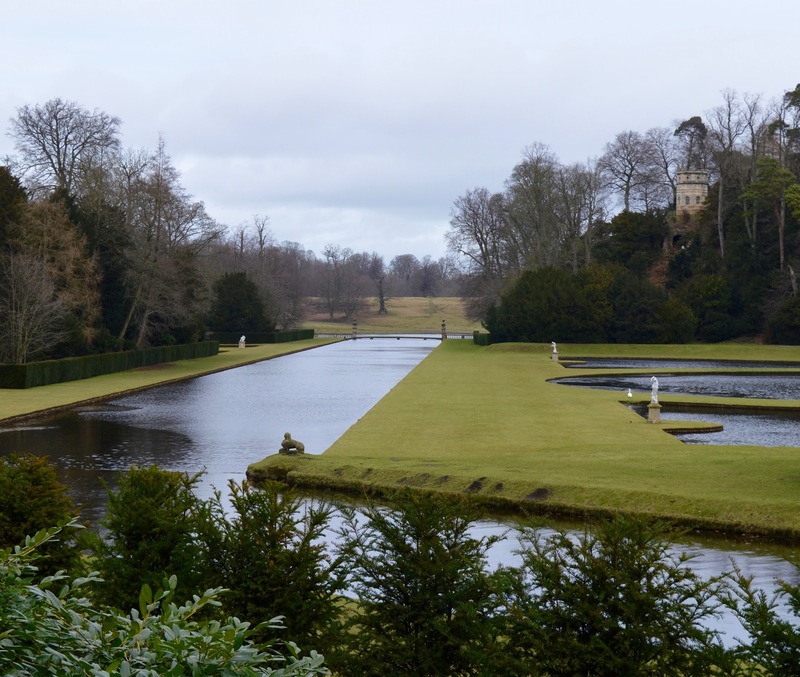 We spent around 40 minutes in the restaurant and a couple of hours walking around the estate - we still barely scratched the surface and really can't wait to re-visit this summer for the full day with a picnic. 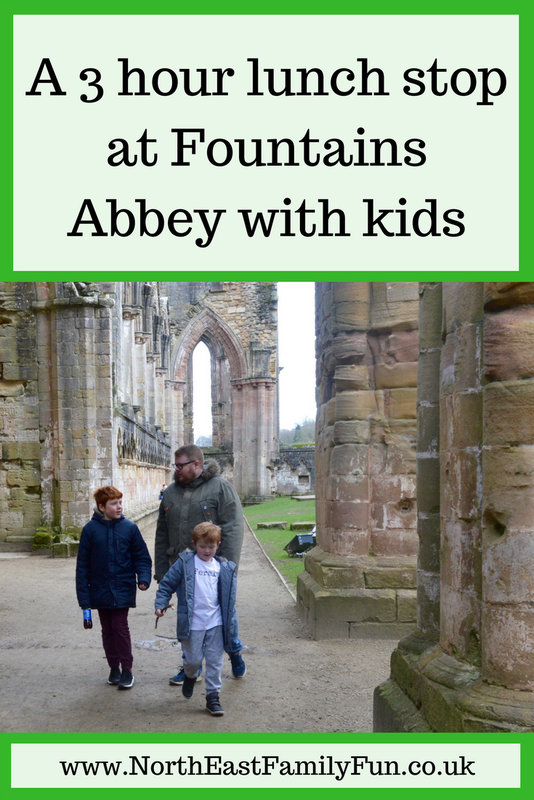 Let me know if you've visited Fountains Abbey and if you've enjoyed a walk around the estate with kids. 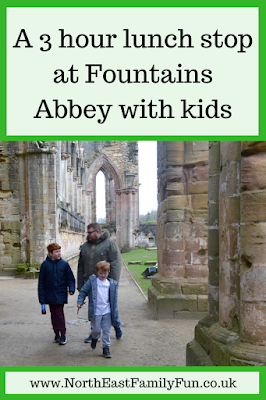 I have fond memories of Fountain Abbey, visiting when I was a child with my Dad and big brother. I live in London now an I would love to go back. It's such a beautiful place. I definitely agree that National Trust food is very very expensive, but I can never resist the tearoom, it's the chunky slices of cake that do it for me! 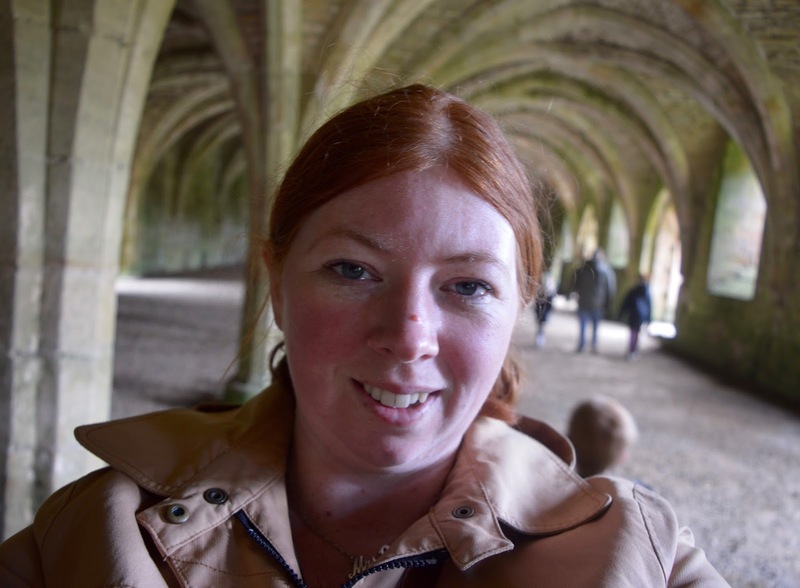 I've heard a lot of people say that the daffodil displays at Fountains Abbey are beautiful so we're hoping to go for a look when Spring finally arrives!